Rob and I are not the conventional tourist types. In fact if it screams obvious, we generally avoid at all costs. But when your good friends decide to come through for a visit, you make a plan and you go full cheesy tourist with them. 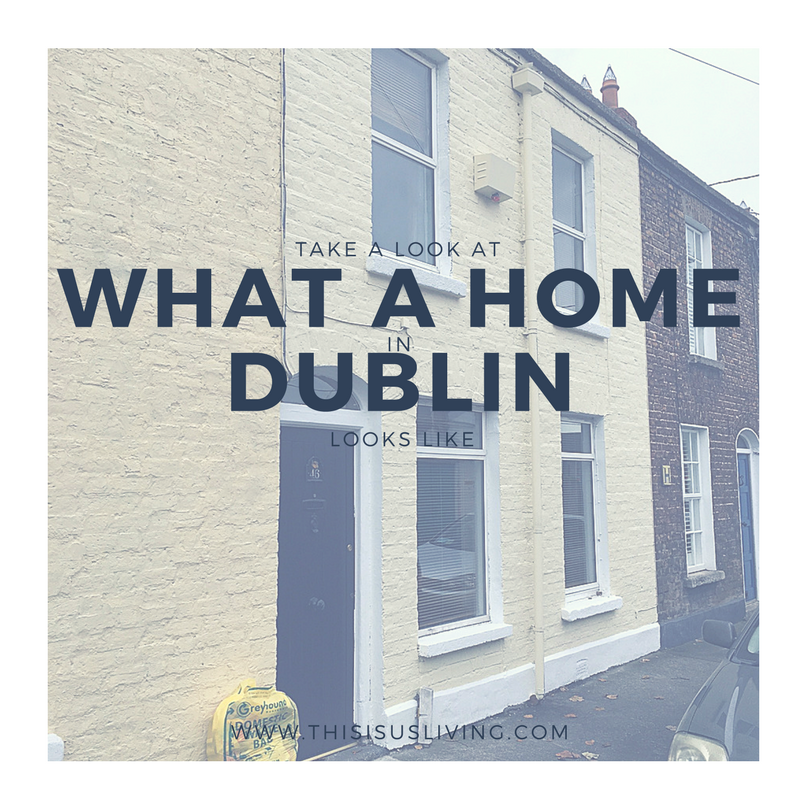 It was a great excuse to go and tick off the things you have to see when in Dublin, but it also made me realise that I can’t wait till they come and visit again – so that we can share the local flavour, the hidden insider tips and tricks, on places to go and see (that isn’t an overpriced, tourist fest!). 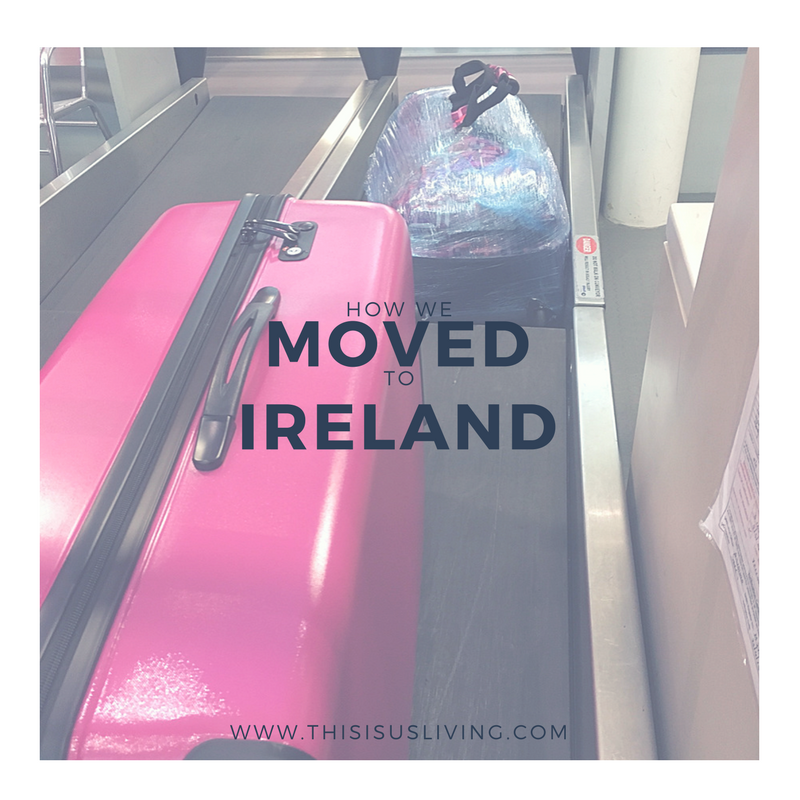 For the most part, I actually enjoyed our weekend trips, and in hindsight, although I sound super nonchalant about it – I would recommend going to these places if you are ever in Dublin. But I also do have some tips to share that will help you get the most for bang for your buck! 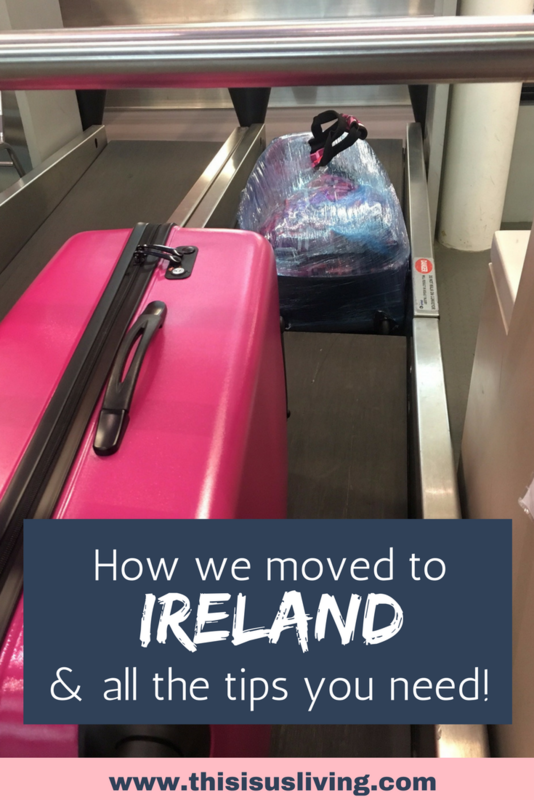 This is an obvious Irish must see if you are ever in Dublin. The home of the black stuff, or if you go to the Storehouse you will learn, its actually ruby red. Book your ticket online – saves you from having to wait in line to buy at the storehouse. Weekday is different to weekends (for example; on the weekend we first went they had a promo where you could use your ticket to sample 3 beers; but during the week this was not available). *we used one voucher for the tasting board; and the other for a pint at the bar with a view; which meant we got the best of both worlds. 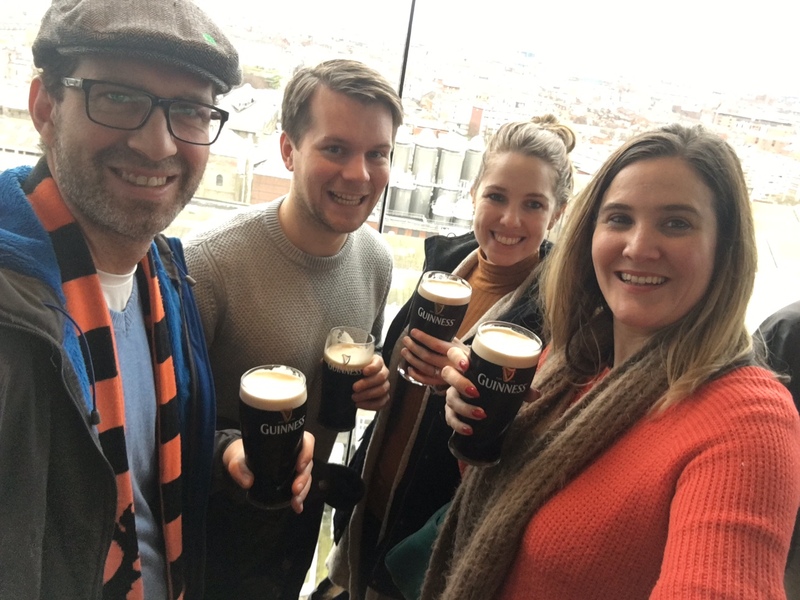 The pouring your pint section is a fun idea, but we both knew how to do that already, and there is no view to drink your beloved pint afterwards. Having been to the Storehouse twice in two weeks, I would say its worth a trip – but once is enough. I am sure we will have to go again when more friends or family visit, which is cool – as long as it is not soon. This is such a gem of a find, it is a small version of Neighbourgoods Market back home but has a heap of potential. Plus, you can get a cheap (yet super tasty) breakfast at a fraction of the cost of some of the restaurants around. 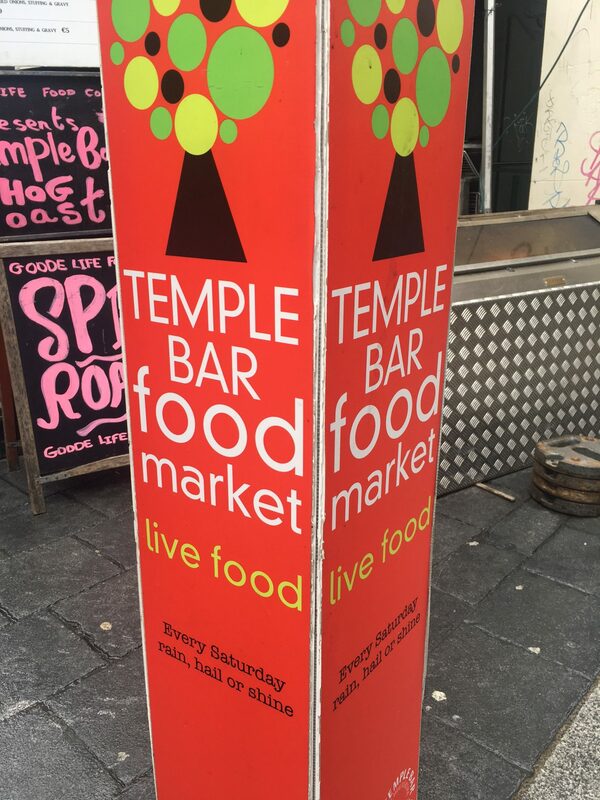 I know Temple Bar district is where you go for a pint or ten; and party the night away. For me, it screams overpriced and a total jock fest – which is so not our vibe at all. But the food market is not so commercialized and I really had a great brekkie roll and the best coffee, so I will definitely be keen to make this a regular place we visit. Tip: Although most places accept cards, bring cash if you want a breakfast roll! Dublinia is such a cool interactive museum, which tells the story of Dublin through the ages. Really fascinating, its a great place for adults or kids, and I really enjoyed it. Make sure you walk up to the tower and take a look at the view too! I found this place when I was walking (trying to get my fitbit steps up) and I especially love the architecture. You can also pop into the garden and surrounds to view Christ Church Cathedral, which is just over the road from Dublinia. Entrance fee: Dublinia costs €9.50 for adults; €6 for kids under 12years; and €8.50 for students and pensioners. I wasn’t going to mention this, because I think every person and their mother has been to Brazen Head (atleast the one in Johannesburg). But then I realised that I have insider info. 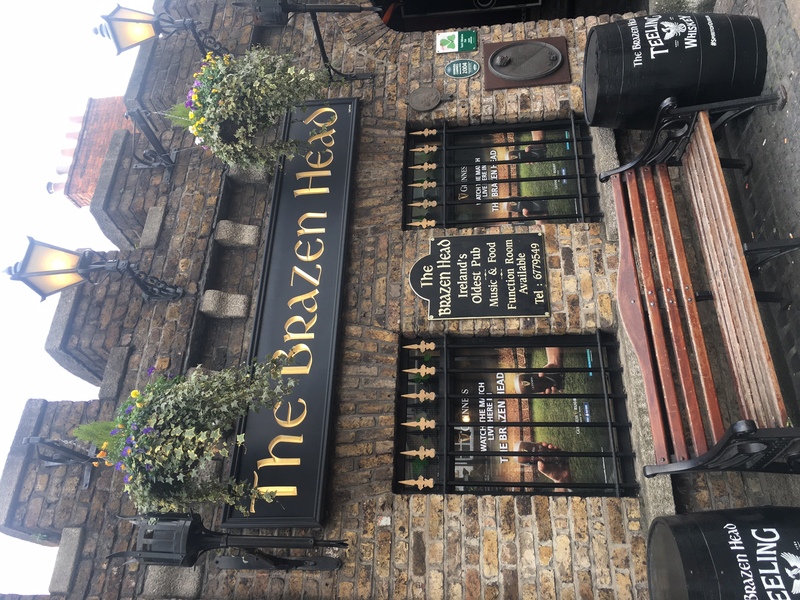 You see, the Brazen Head in Dublin, claims to be the oldest pub in Ireland, so naturally the tourists flock to it. But I have been to Sean’s Bar in Athlone, which also claims to be the oldest pub in Ireland. So now, who is telling the truth? Both have a letter from Guinness world of records. the difference is done to the dates. 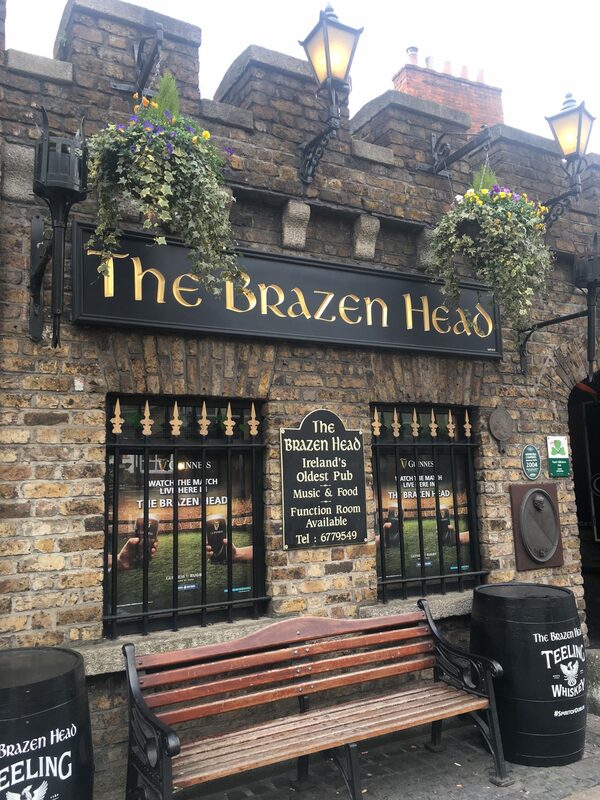 Brazen Head was established in 1198, whereas Sean’s Bar was built in 900A.D. 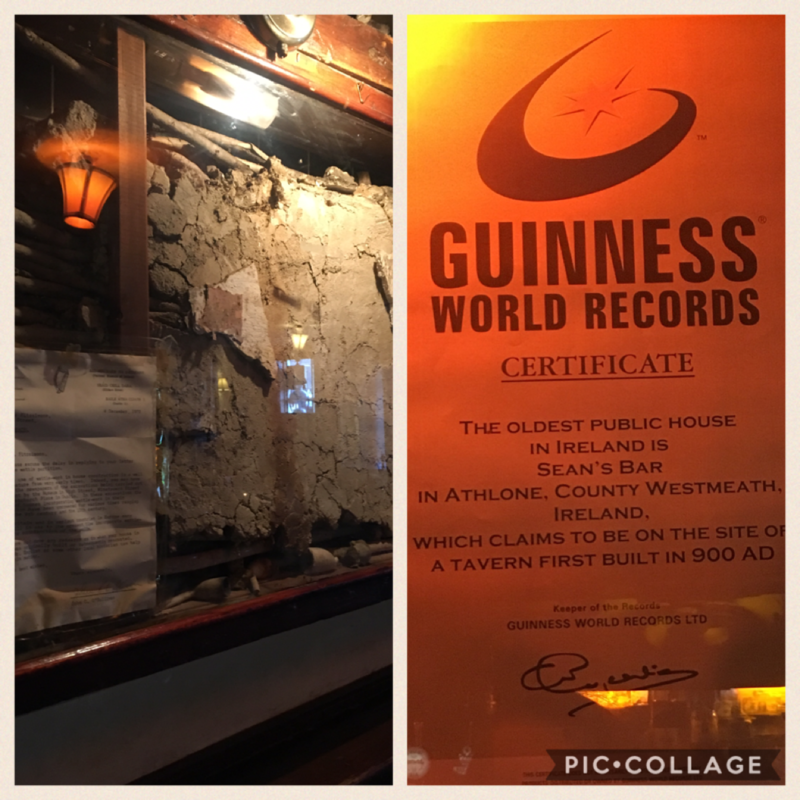 Interestingly enough, Sean’s Bar has a piece of the original wall framed inside the pub, made with wattling sticks and mud. So you see, as a tourist coming to Ireland, you probably would be forgiven for thinking there was only one pub with this claim, but you are only truly a local if you can say you have been to both. Either way, Brazen Head, is pretty rad. They have Irish music playing in the evenings, nice areas where you can drink and chat, and the food is not too bad. Tip: Get there early if you want a table. But know that it is just a tourist trap for tourists, and most certainly, not the best pub we have been to since we have been here. 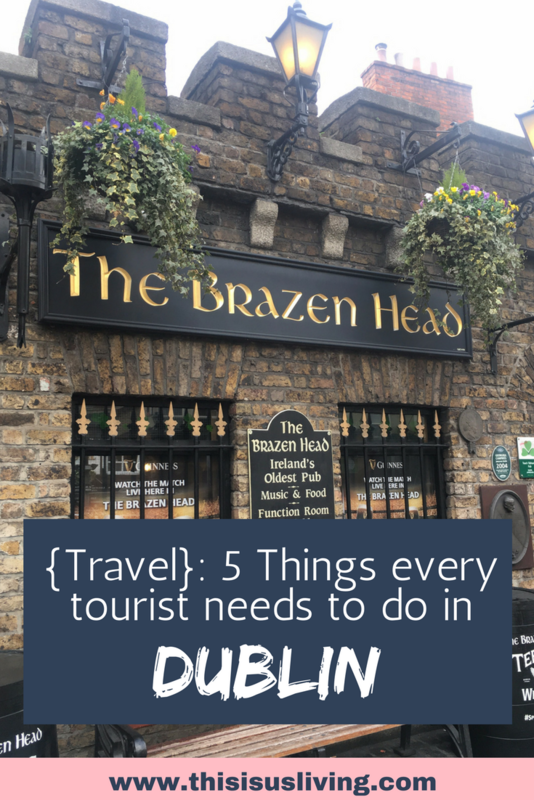 There are plenty of pubs to go around in Dublin, so I suggest you try a few out! 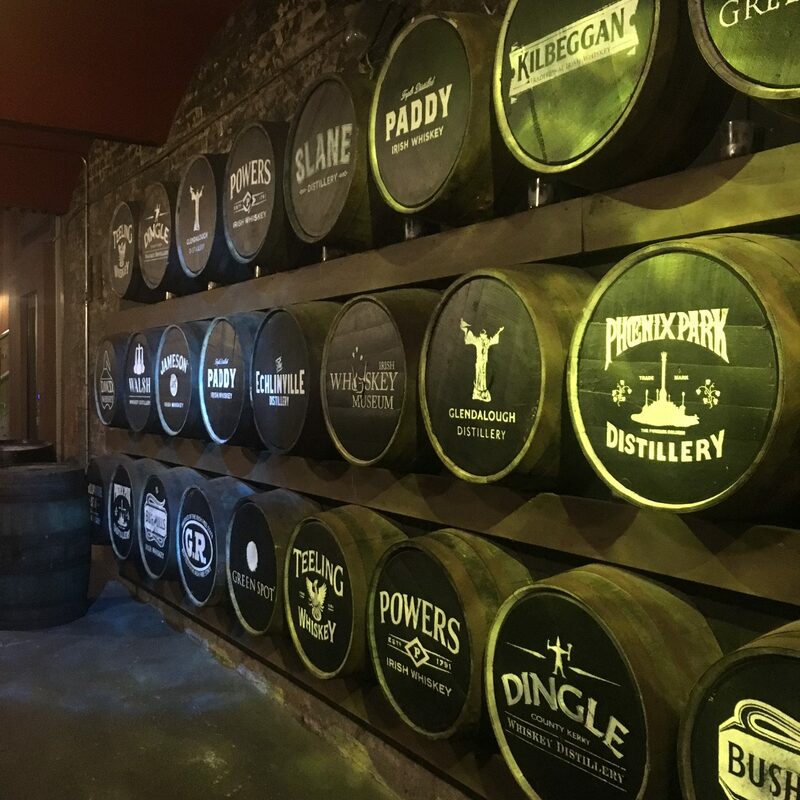 The Irish whiskey museum is the perfect place to start, if you are interest in learning about the history of Irish Whiskey making. 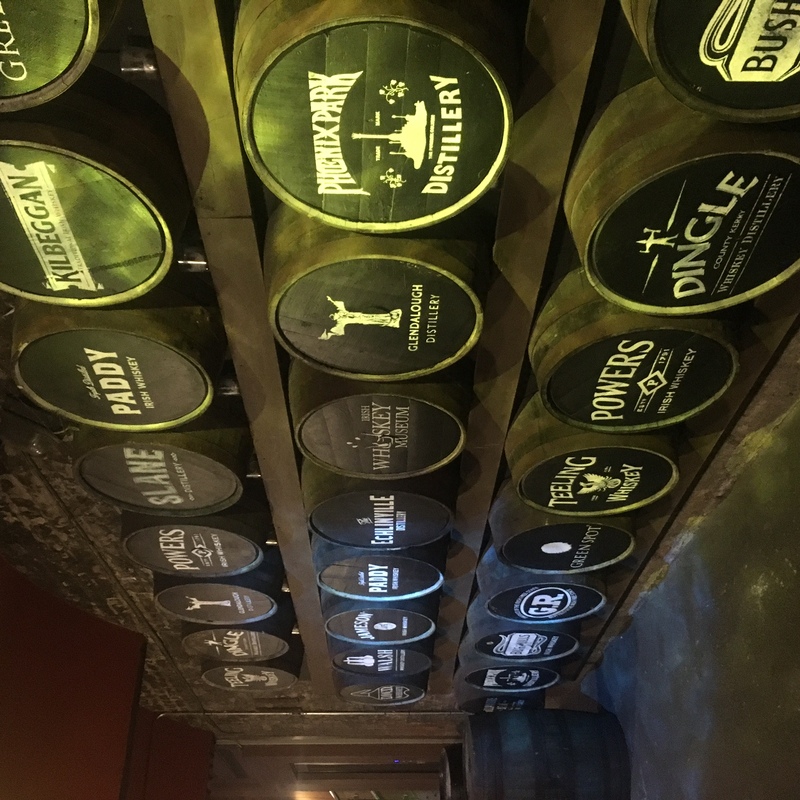 The great thing about the Irish Whiskey Museum, is that you learn all about Irish Whiskey, but you also get to sample different Irish Whiskey brands, along with different types of Whiskey. Tip: You could pay €26 for the blending experience (gets you 4 whiskeys and you can blend them into one 30ml bottle you can take home) but the best value for money is the premium tour for €19, (4 whiskeys, no little bottle). The Jameson Distillery. Currently the one is Dublin is closed for renovations. But if you head to Cork, you could visit the Old Midleton Jameson Distillery. Teeling Distillery. An independent Irish Whiskey Company in the heart of Dublin. 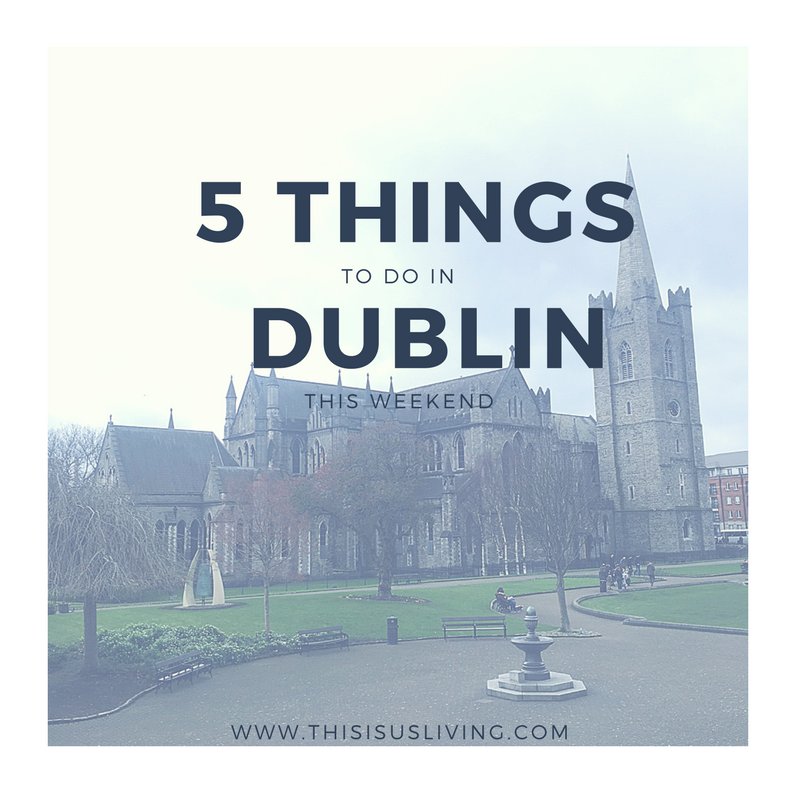 I have other little gems of things to do and see in Dublin, and as we go – I am sure this list will grow. 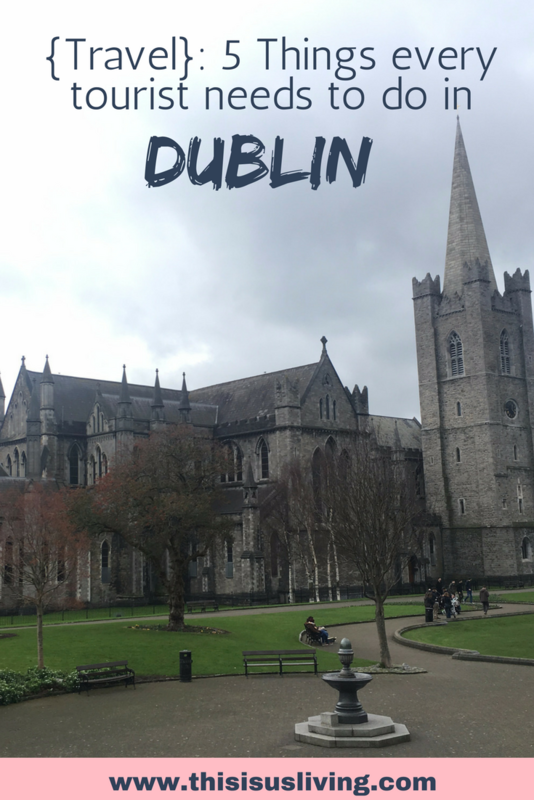 So stay tuned for more travel must-sees and things to do in Dublin! 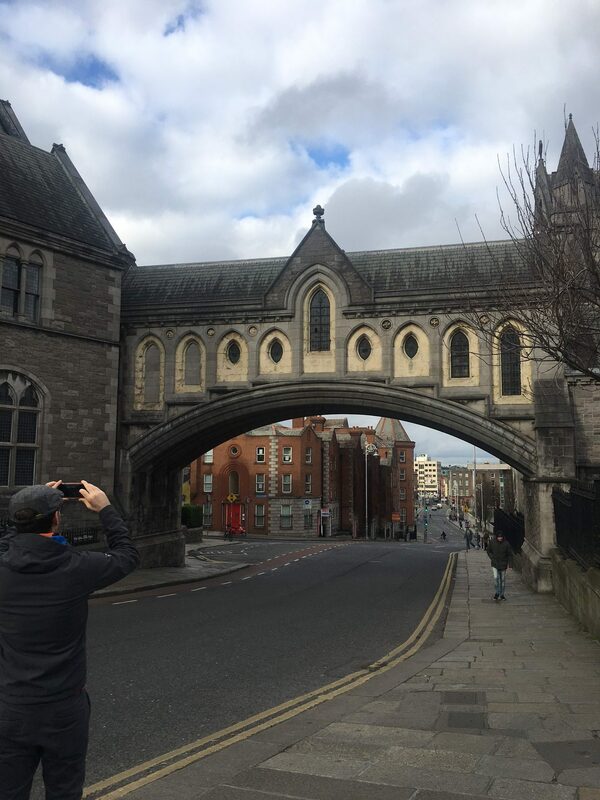 What would recommend is a must-see in Dublin for tourists? 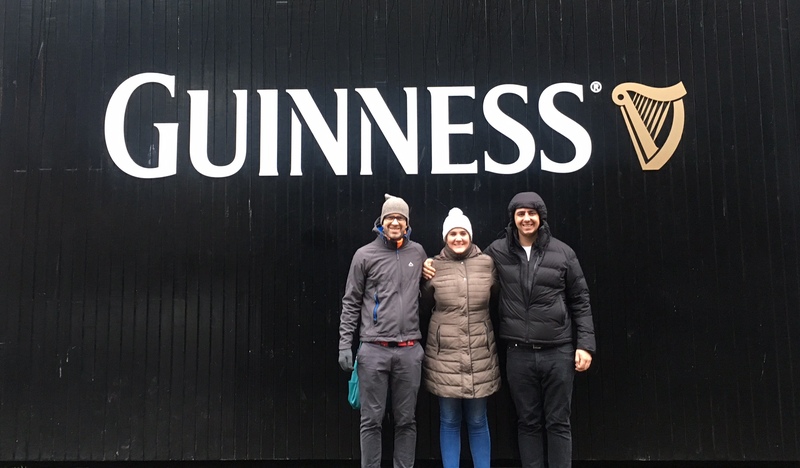 Dia dhaoibh*, friends from a chilly Dublin, Ireland! It has been one week since I arrived and I am really feeling like I am home. 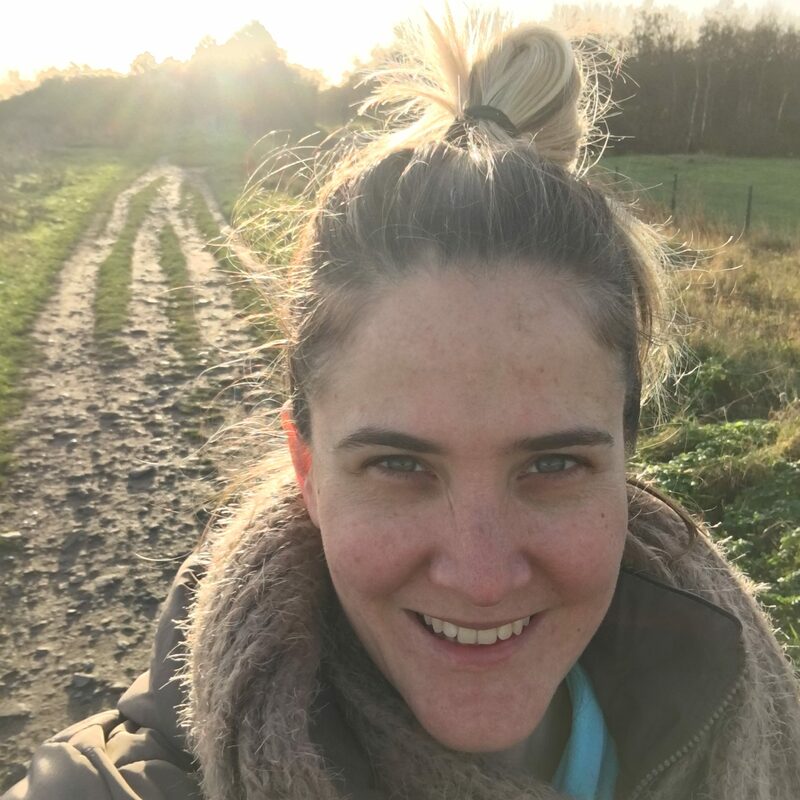 I thought that once I got here it would feel like a bit of a holiday – not permanent, and just for fun. In true Rob and Meg fashion we have jumped in head first and we are loving every minute of it. Last week alone I walked over 67 540 steps; a total of 49,4KM. I am super chuffed I bought a fitbit. It drives everyone around me crazy because I sync and update them regularly but I love seeing how active I am and I am really hoping that once I start running again too, I can finally lose all this weight I have gained over the last few months. Yes, I am in fat mode. Yes, its because I got injured, and I got stressed and moving countries is hard work. But it kills me looking at pictures of how fat I have actually gotten. But I have a plan – watch this space. 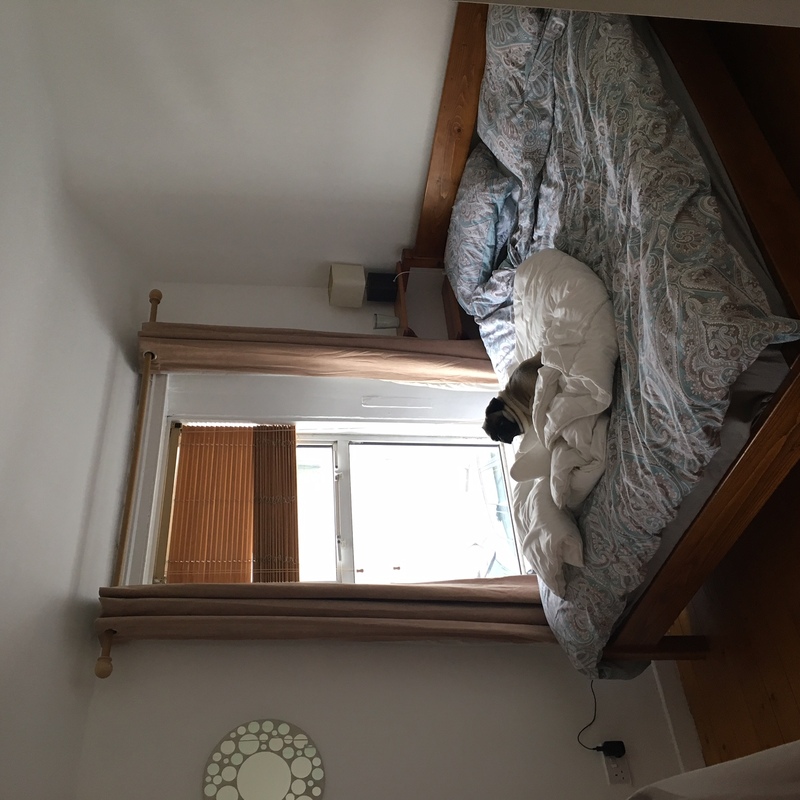 I thought today I would share a few pictures of our new home, and what I love/don’t love about it. 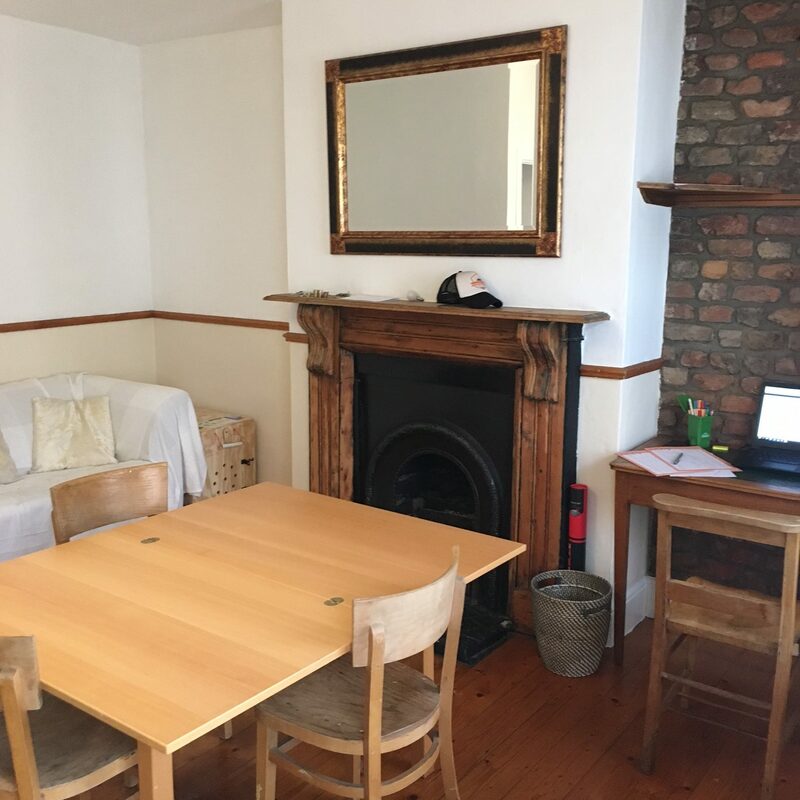 We live on a small but busy street, within walking distance of two parks, and even the beach! We are also walking distance from the Lansdown stadium (where all the rugby happens); this also means we have some pretty great pubs close by (but that’s a given for any true Irish town). We live in a suburb called Irishtown. It is right on all the main bus routes, so travelling into the city and out is pretty easy. Rob works in the city, he leaves for work at 8:20am (starts at 9am!) which means we get to get up early and walk Jack together, have breakfast together. I am the good wife who packs his bag for him and sends him on his way before I settle down to work myself. 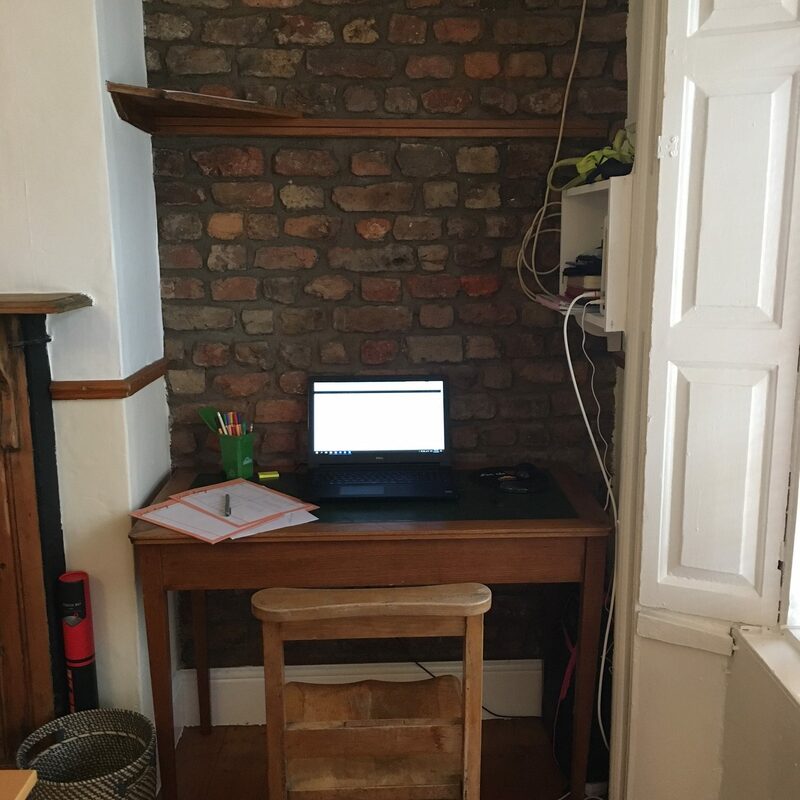 I work in the lounge/dining room area of our house. The house has two fireplaces: one in the lounge and one in our bedroom. 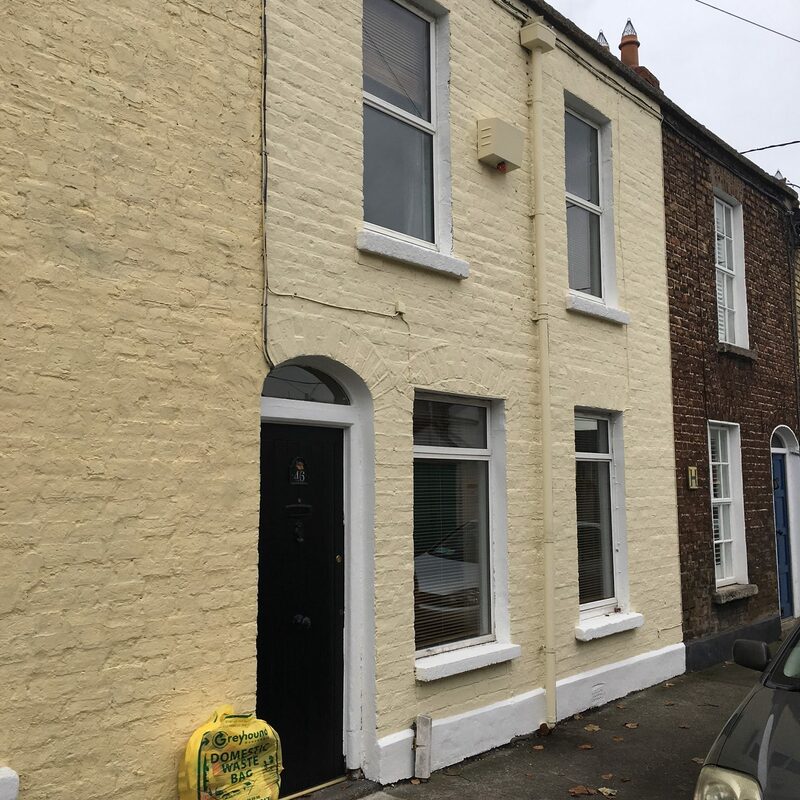 It is an old house, like very old. Rob has termed it the rusty bucket. I like to think of it as a quaint elf cottage. It is not suited for tall people. 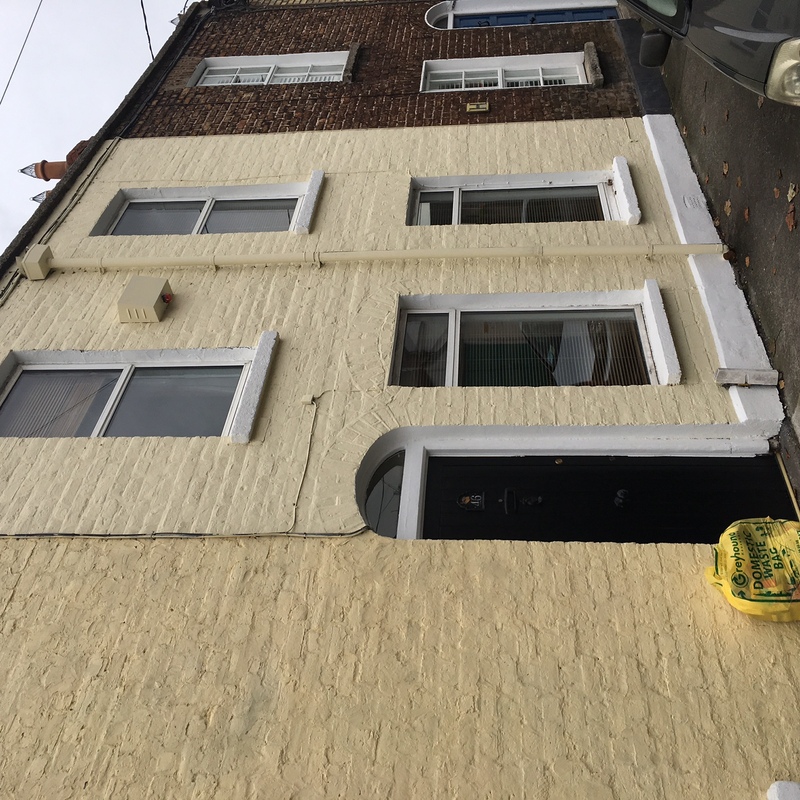 Our house has the lounge area, kitchen and courtyard on the ground floor, then a staircase as you come into the front door that takes you up to the bathroom and two bedrooms. 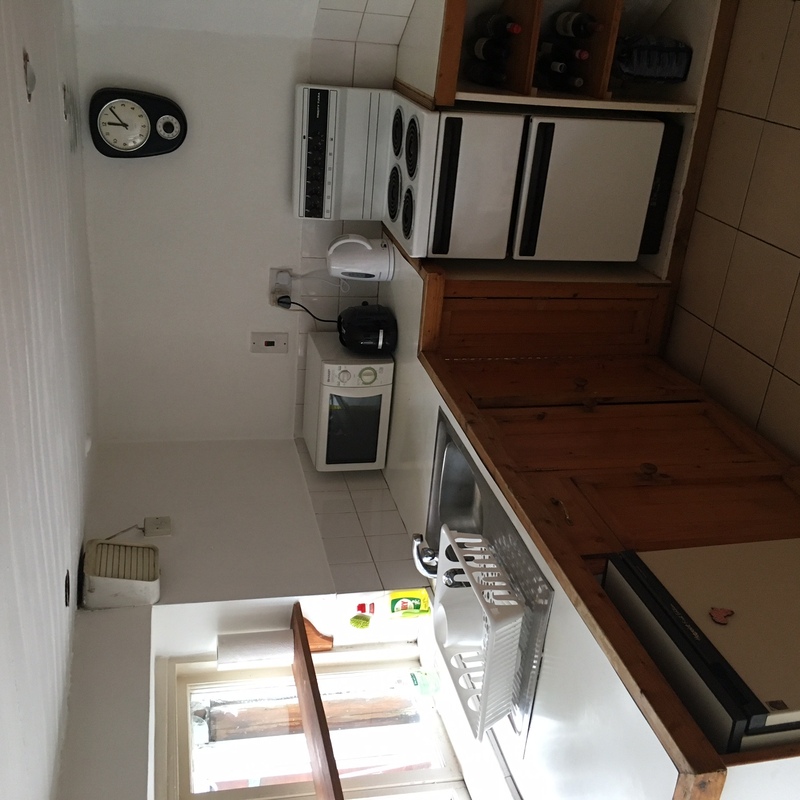 The kitchen has a low ceiling, and its small. The appliances are very old – atleast 50 years old but they work, so we can’t complain. 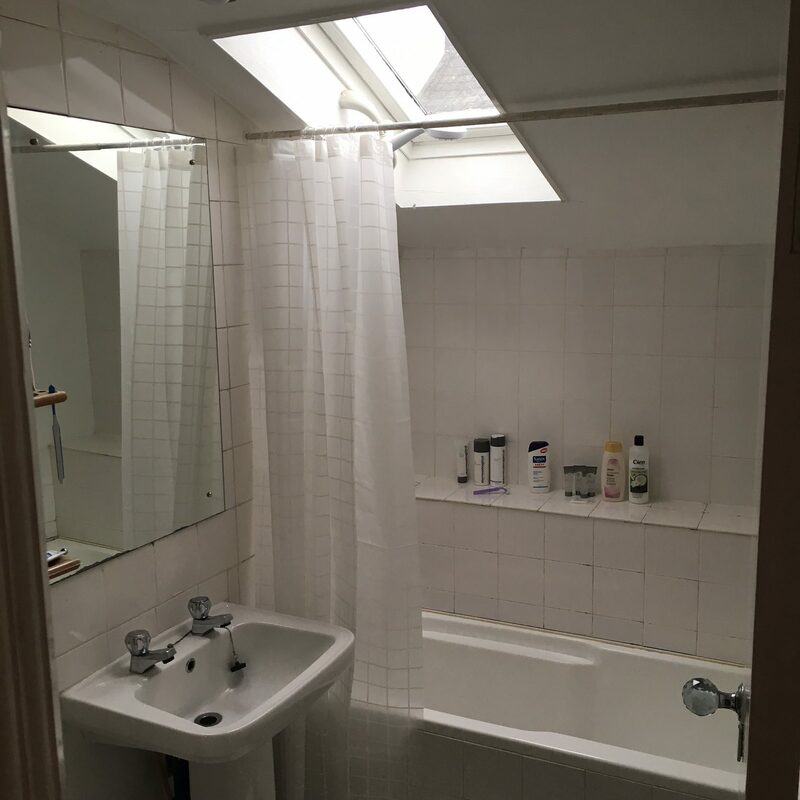 The bathroom has a gas shower in the bathtub. Thankfully the water is always hot and the pressure is pretty good. 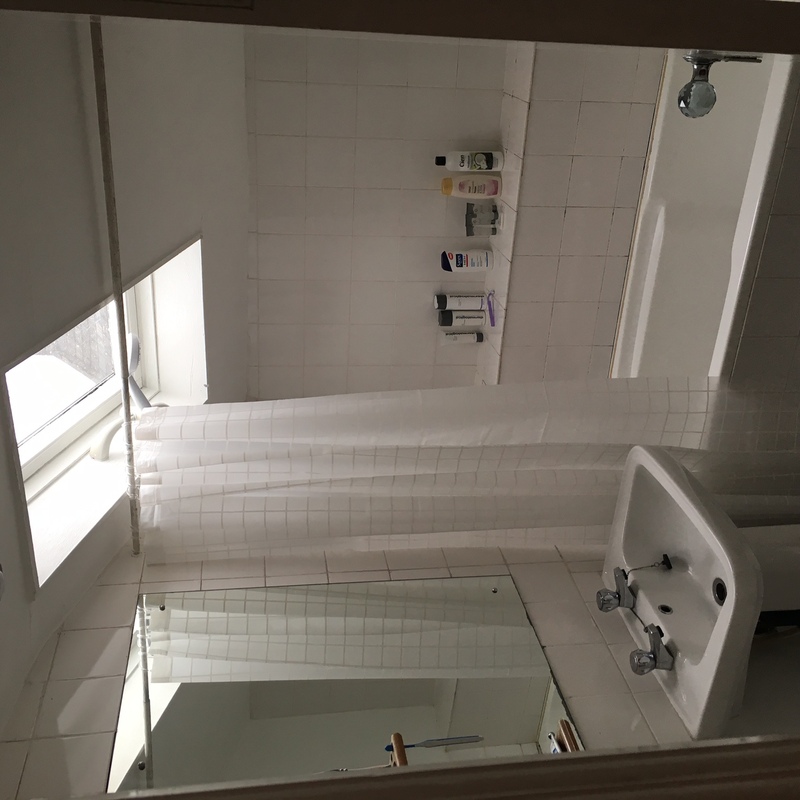 But we have to bend our heads while showering, as the skylight and ceiling are pretty low (hence my thinking it’s better suited for elves). 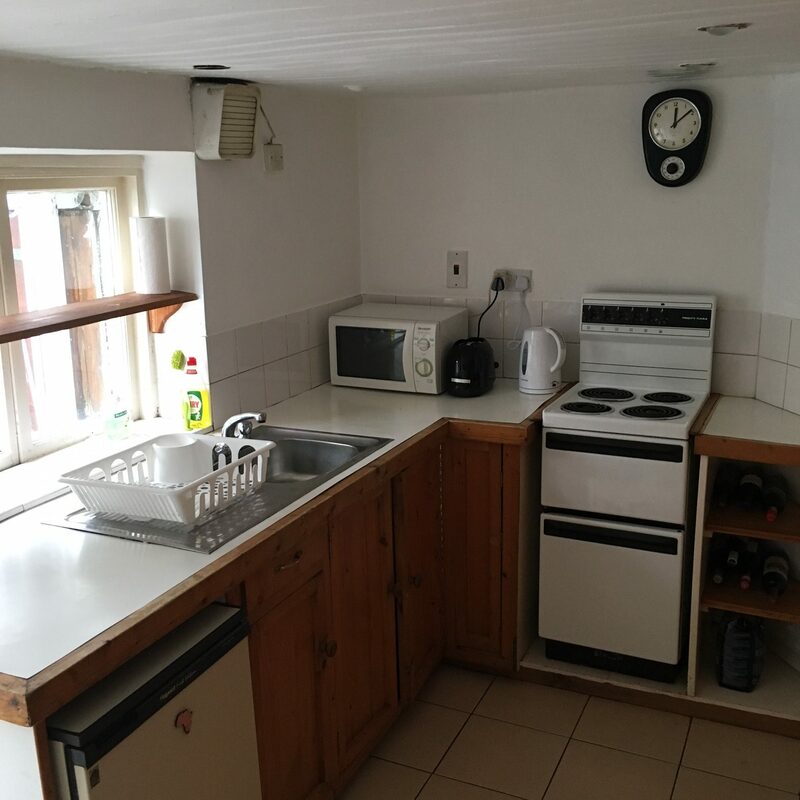 The house also comes with a lot of storage space and plenty of cupboards – this is unlike most places here, so we are pretty thankful for the extra space. 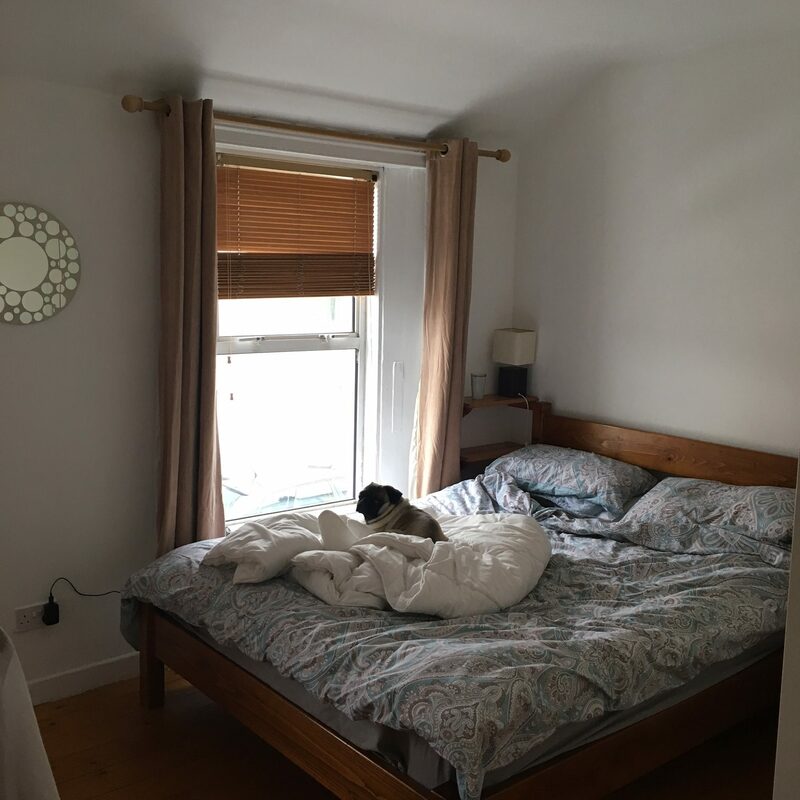 Our bedroom is my fave place, it is so airy and light. The house came with all the furniture, it is not the best stuff, but it has saved us a lot of money not having to buy anything just yet. It even came with cutlery and plates etc – so we have all the basics and can get by while we wait for our 3 boxes to arrive. I am told the boxes could be anytime in December… but I am not holding my breath. We decided against buying a TV. We are currently watched series off the computer, because the one thing I love about our house is the uncapped wifi – how we did life before high speed internet is beyond me. 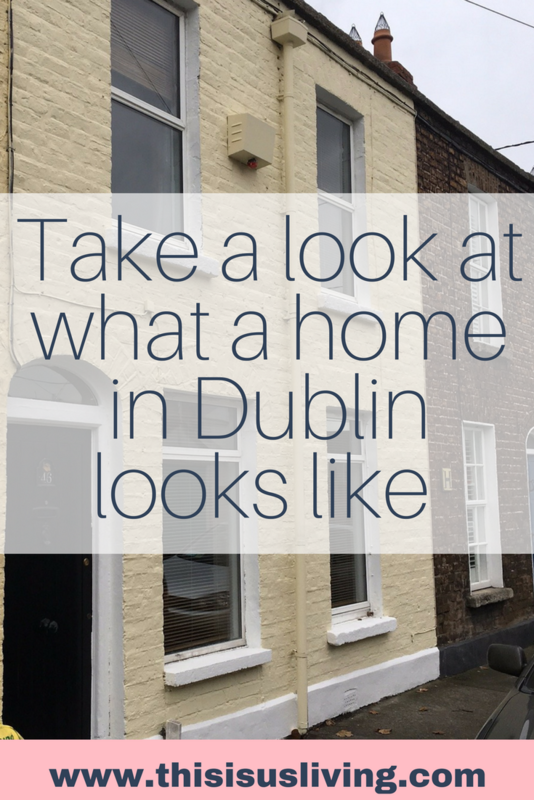 Most people in Ireland don’t really have that homely vibe like people in SA. Here, you generally try to get out of the house and visit people at pubs or parks – not like in SA where you are always going over to a friend’s place for a braai. I think Rob and I will be the same in that the house is small, and we will go crazy if we don’t get out when we can. Another great plus to having a small house is that this is less of it to clean! So you would think it wouldn’t take too long to clean – you would be wrong. We learnt quite quickly that our view on cleanliness is VERY different to here. I am not sure if it is how Rob and I were raised, but our mother’s would have heart failure at the thick layer of grime and dirt that has just built up all over this house over lack of cleaning. We got stuck in and literally cleaned the house all of Sunday, and I still feel as though its not clean enough. It will take a lot of days of deep cleaning to get it looking and feeling the way I want it to look. I feel like I may be classified as an extreme cleaner – but I would rather be called that then live in filth. So that is our little Irish house, and the start of many great adventures to come. What do you love about your house? Are you a neat freak or a secret slob at home?